LONDON - Spar has released an online game called 'Beat Barni' to promote its sponsorship of the European Athletics Championships. The athletics game consists of five levels, including a 100m sprint, a 400m hurdle race, javelin throw, pole vault and long jump, in which consumers have to beat Barni, the mascot for this summer's championships. The event takes place from 26 July to 1 August in Barcelona. The online game is part of a promotional campaign to tie in with this summer's World Cup and Wimbledon, as well as the athletics championships. In the UK, in-store promotional activity will be supported by press and magazine, radio, door-to-door leaflets, Spotify and the Spar website. The site carrying the online game will also offer recipes, sport-related content and competitions linked to sport. In addition, each country that is part of Spar International will also be able to add sporting-themed product and price promotions to the site. Tobias Wasmuht, marketing director for Spar International, said: "The promotion serves to highlight the fantastic success and importance of Spar 's ongoing sponsorship of the European Athletics Championships. We are also delighted to move into online games with a sporty athletics game, featuring the mascot of the event, Barni"
Spar has been a principal partner of European Athletics since 1996, and a sponsor of UK Athletics since 2004. 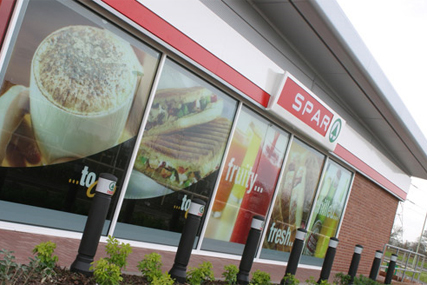 In March, Spar UK appointed MEC Access Manchester, without a pitch, to handle its sponsorship account focused around UK Athletics. The retailer wants to use its sponsorship, previously handled by Fast Track, to leave a legacy after the 2012 London Olympic Games.